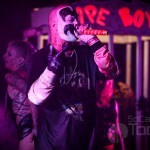 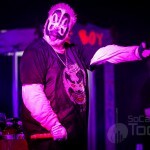 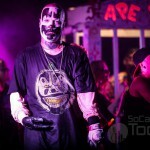 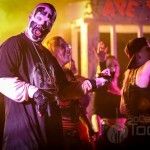 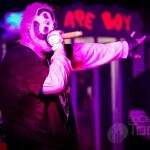 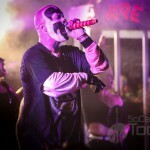 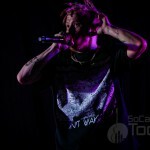 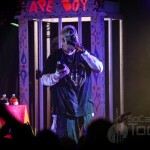 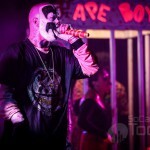 Juggalos swarmed City National Grove in Anaheim on Wednesday night October 24 as Insane Clown Posse played the second of their two Southern California appearances (San Diego the night prior). 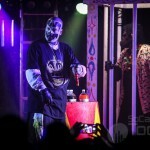 The Hallowicked Traveling Freak Show Tour Silver Jubilee is celebrating 25 years of ICP shows and this night lived up to the Freak Show hype. 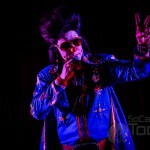 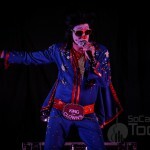 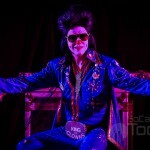 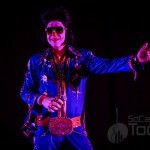 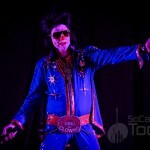 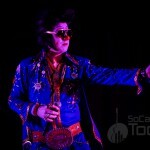 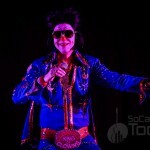 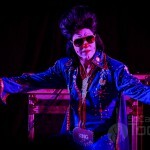 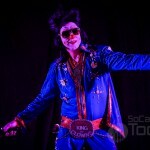 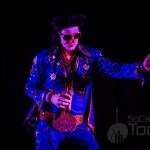 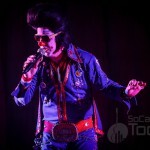 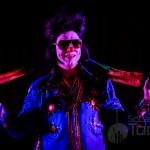 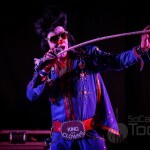 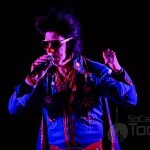 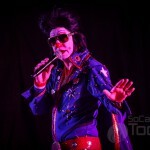 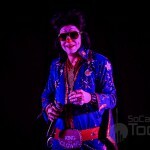 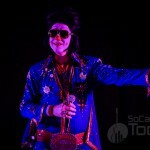 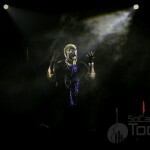 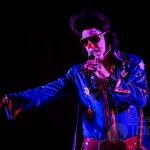 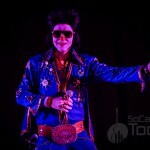 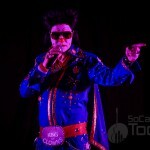 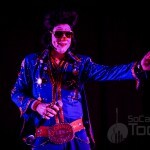 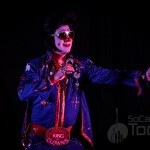 The King of Clowns, Clownvis Presley hosted the show that featured several Freak Show acts, music by DJ Carlito, a performance by Ouija and songs performed by Clownvis himself – all this took place onstage for about two hours prior to ICP hitting the stage. 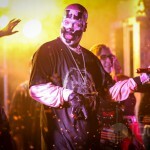 Clownvis introduced himself and what was in store for the fans on this night as the Juggalos cheered and made their “whoop, whoop” calls. 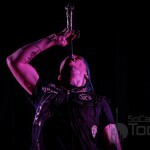 The freaks that performed onstage chugged beers, swallowed swords, danced on swords, contorted their bodies and stapled money to their body. 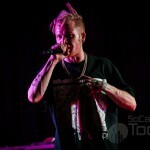 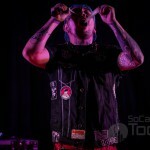 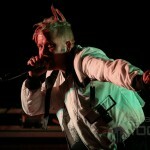 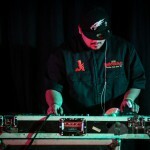 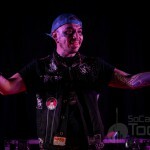 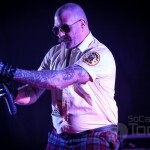 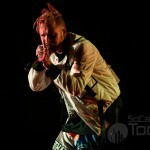 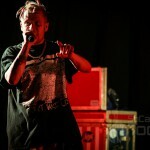 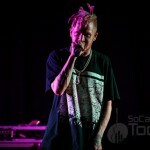 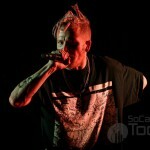 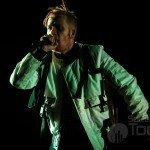 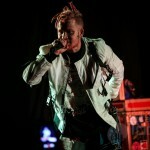 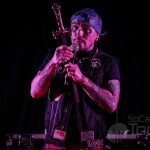 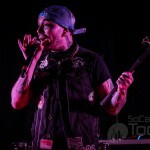 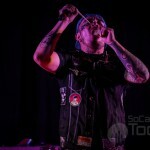 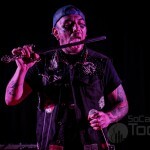 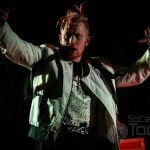 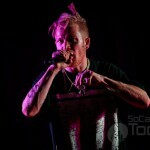 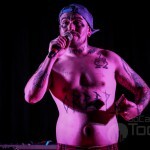 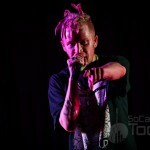 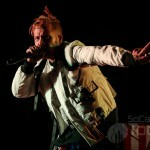 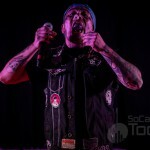 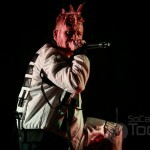 Psychopathic Records artist Ouija performed several songs that the Juggalos were certainly familiar with and successfully got the crowd pumped. 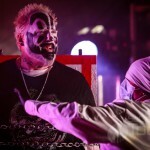 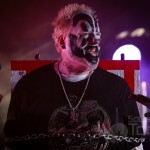 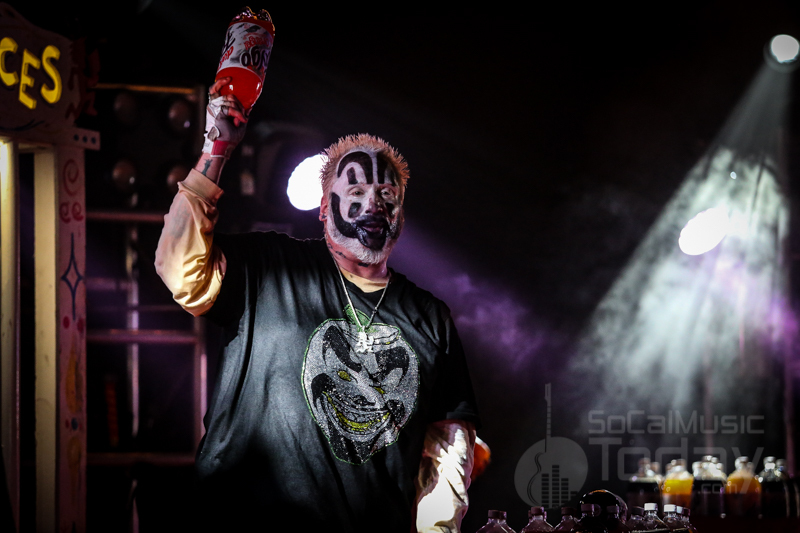 The house lights went out and Insane Clown Posse were wheeled out onstage strapped to vertical gurneys and the ICP chaos began as Violent J and Shaggy 2 Dope kicked into high gear and it didn’t take long before Faygo was flying through the air. 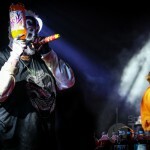 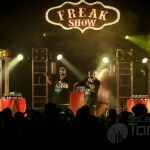 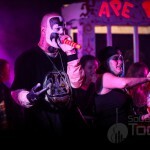 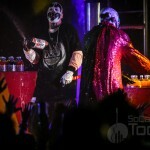 The hip hop duo were joined onstage by various monsters and dancing clowns to help shower the crowd with the famed Faygo soda. 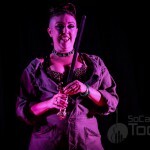 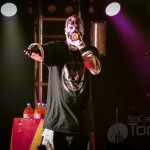 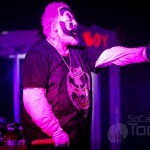 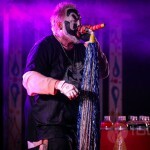 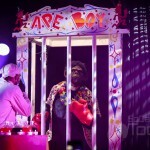 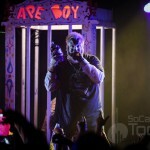 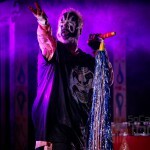 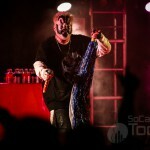 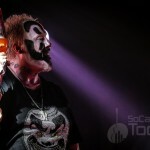 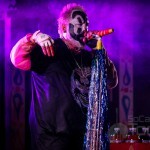 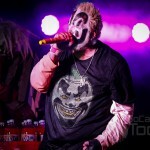 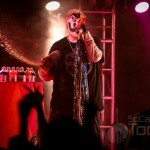 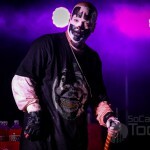 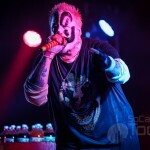 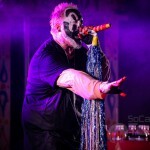 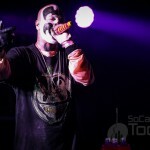 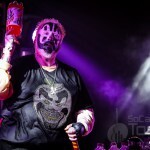 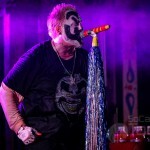 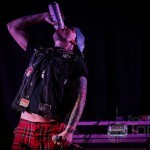 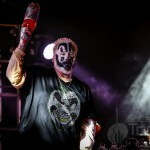 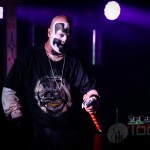 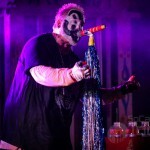 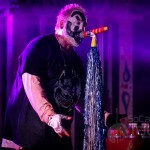 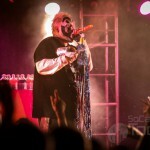 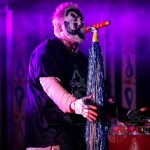 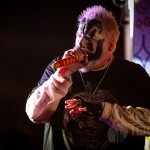 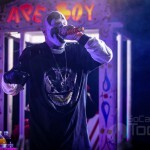 It has been said that the band burns through between 300-400 2-liter bottles of Faygo per show – no wonder the venue had everything covered in plastic. 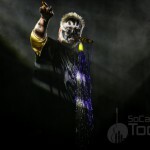 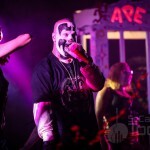 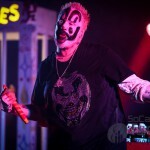 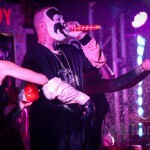 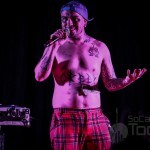 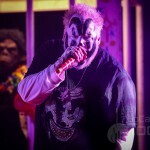 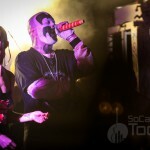 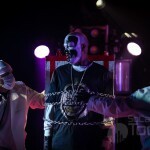 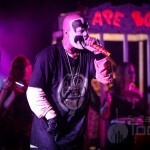 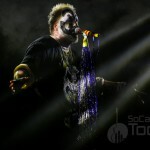 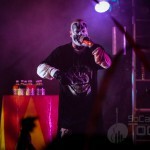 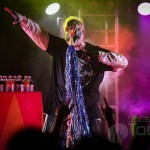 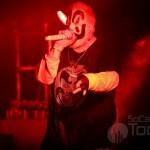 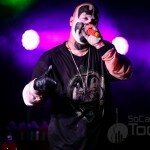 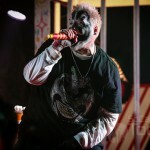 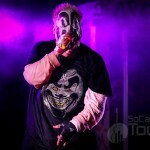 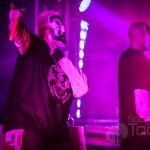 ICP has a very dedicated fanbase with their Juggalos and each and every one of them was 100% fully engaged in the show – singing, dancing and “whoop-whooping” throughout. 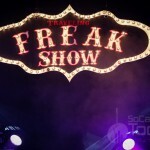 The Freak Show sign onstage was never more true on this night as from start to finish the entire night was pure entertainment. 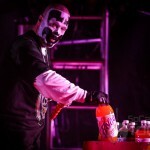 As the show ended and all went home, the City National Grove staff were left cleaning up massive amounts of empty Faygo bottles and sticky residue from the show. 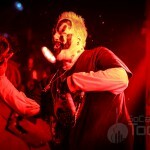 Insane Clown Posse is obviously more than just a band – it’s a lifestyle.